Throughout your probationary period you will be given many opportunities to acquire new skills. Particularly at team training sessions, during the first few months learning base operations, and then later on callouts buddied with a full team member. Your mentor is there to support you, as are other members of the team. Probationary and full members attend the same training programme together. Team training is usually held on the first Monday evening of the month, and several full days each year. These sessions focus on particular skill areas. They provide practice working as a team and with the range of rescue techniques and apparatus used by us. Probationary members are expected to attend the majority of team training opportunities and to have most if not all of the skill areas signed off in their training logbook before being considered for full membership of the team. Optional advanced training is offered to full team members including the MREW Casualty Care Certificate; Rescue 3 Swift Water Rescue Team, Level 1 Technician Certificate; WMRT Crag Group, Rigging for Rescue Course; LDSAMRA Winter Training; and a Blue Light Vehicle Course. Probationary members and full team members are expected to participate in some extracurricular activities. These range from occasional fund raising events such as Flag Day in Whitehaven; attendance at annual cultural events like the Wasdale Shepherd’s Meet and the Lingmell Dash fell race; and keeping WMRT base clean and tidy. The following list is a brief summary of the skill areas covered in normal team training sessions and is subject to elaboration, interpretation and change in line with acknowledged best practice. Pass a check of personal mountain equipment and clothing and state the requirements for the inspection and use of personal protective equipment (PPE) such as helmet, climbing harness, crampons, ice axe, helicopter goggles & earplugs. Identify major summits, crags, and rivers in Wasdale and Eskdale. Also key access points, way points and common incident locations. Gain personal experience of walking and scrambling routes such as Lord’s Rake, Deep Gill, Broad Stand and Climber’s Traverse Great Gable. Demonstrate accurate night and day map and compass navigation to a six figure grid reference in all weather conditions. Operate base, vehicle and fell radio sets. Pass messages accurately using correct protocol, the phonetic alphabet, and channel selection. Understand use and positioning of relays. Know core equipment and its location in team vehicles. Also the use and storage of core equipment outside vehicles. Understand the limitations and requirements for inspection and maintenance of team equipment. Assemble and prepare for use both night and day together with casualty bag and vacuum mattress. Attach carrying straps, winching slings and wheel. Dismantle and load into team vehicle Mobile 1 and onto Mobile 2 roof rack securely. As part of a team help turn, lift and load a casualty onto a stretcher with regard to their injuries. Demonstrate casualty safety and care during evacuation. As part of a team assist handling and carrying a loaded stretcher across varied terrain including broken ground and in winter conditions. Show traversing, controlled descent with a drag rope and use of the wheel, while safeguarding team members and the casualty. Inspect and care for static and dynamic ropes. State the common knots used and why they are used. Tie a figure of eight, bowline, clove hitch, double fisherman’s, prussic, Italian hitch, tape knot and alpine butterfly knot. Know the safety requirements when fitting and using a harness, selecting anchors, and belaying a person. Demonstrate the ability to rock climb including belaying a leader and second. Rig abseil and safety ropes. Abseil down a vertical face with prussic back up. As part of a team set up a belay system capable of taking the load of a stretcher, casualty and handler. Help in the preparation of a casualty in a stretcher and the attachment of a handler and lower with stretcher positioned vertically, horizontally and diagonally. Assist rigging a cableway and rescuing a person in a stretcher. Help raise and lower a person in a full harness and by marsupial. Participate in line and party searches day and night in all weather conditions. Know about the equipment required and communications, natural boundaries, marked areas, reporting and use of search dogs. Receive training from helicopter personnel. Demonstrate safe entry and exit of the aircraft and the dangers of approaching and leaving while it is on the ground and when being winched aboard as it hovers. Show knowledge of landing sites, flares, PPE, flight & crash procedures, and night working. Walk up and down easy, steep and very steep snow and ice slopes in crampons. Kick and cut steps in snow. Brake with an ice axe when falling on your back and on your front both feet and head first and tumbling. Know about cornices and avalanche prone slopes. Demonstrate a stomper belay, horizontal ice axe anchor, deadman anchor and snow bollard. Build a snow shelter. Understand the principles of mountain first aid. Know the location, inventories and use of the contents of the different first aid sacs and bags. Make a safe approach to the casualty. Undertake a Basic Life Support (BLS) primary survey and perform BLS on a mannequin. Recognise and be able to treat external bleeding on a hillside and state the causes of shock. Know the signs and symptoms of a limb fracture and be able to provide initial treatment of limb injuries. State the signs and symptoms of mild, moderate and severe hypothermia and describe a management plan on a hillside. Communicate casualty information on a casualty care card and by radio. Know about rescue organisation and base operations. Operate base equipment; initiate a pager call; establish, complete, and close out an incident log. 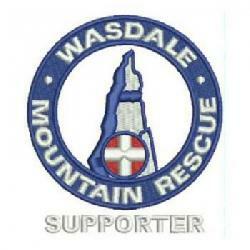 Demonstrate how to contact other mountain rescue teams, the police, ambulance, helicopter and other services. Understand the methods of dealing appropriately with relatives, the public, and the press. Show your driving license. Understand each vehicle’s key features, safety checks, refueling requirements, key location, passenger safety, lights and sirens and associated rules of use. Drive vehicles safely, operate flashing lights and siren, park in the appropriate garage space and change a wheel. Explain and demonstrate passenger safety requirements; person overboard procedure and reboarding; launching operation; safe accommodation of a casualty, and removing the boat from the water. Correctly fit a buoyancy aid and show safe boarding, seating position and exit from the boat while on water. Complete a one day Swift Water Rescue First Responder Course. Select a water source crossing point. Cross it both with the aid of a stick or walking pole and with others in a huddle, in line astern, and in line abreast.